A West African species which is closely related to Afara, it is sometimes called Black Afara but this is a name for the tree and should not be used for the timber. 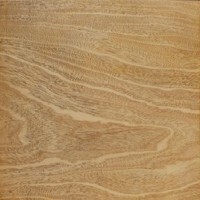 The sapwood and heartwood of the species are not clearly differentiated, the wood being a pale yellow-brown in colour and, when plain sawn, having a very prominent growth ring figure. 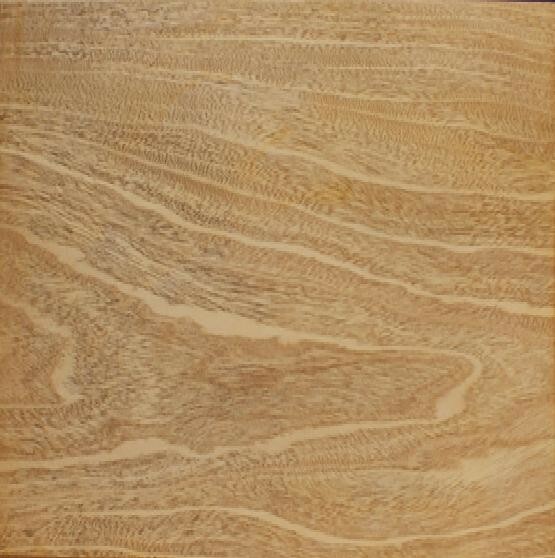 Planed surfaces of the wood are moderately silky, the texture is rather coarse and uneven, while the grain is straight or only shallowly interlocked. The average dried weight may be in the region of 540 kg/m3 but this is very variable. This tree has a light-weight central core and timber from this part often has brittleheart. The wood contains a dye which may stain other materials when wet, it also contains tannin which causes staining when in contact with iron under moist conditions. Typical uses for Idigbo include furniture, good quality joinery and domestic flooring. The parenchyma in this species is much less visible than in Afara but otherwise they are very similar in structure.